Do We Need Award Ceremonies? OMG – it’ silly season again. I woke up this morning only to hear on the TV news about last night’s Oscar’s ceremony in Hollywood and who won what, who wore what and what that total “ID 10T” Sacha Baron Cohen was up to this time (and the less said about that the better). 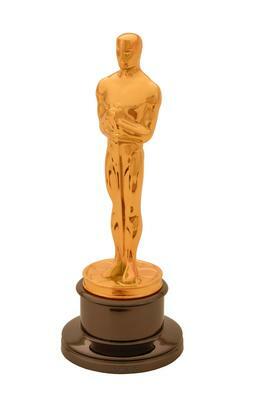 We’ve had the BAFTA’s, the Golden Globes and now the Oscars for the movie industry. There has also recently been the Grammy’s and the BRITS for music and at some stage the TV and Soap awards will fill our screens. The question does have to be asked, why do we actually need award ceremonies anyway? Aren’t these so called movie, TV and music stars not paid enough already, without having to resort to a panel of nameless members of a so-called academy to decide upon who was the best at whatever category? If I want to make an award to a certain film, I will toddle off down to my local Cineworld or Odeon cinema, pay my few quid and sit there amongst the great unwashed of the world, listening to their infernal chatter, their munching of popcorn whilst slurping upon their diet cola or drink-on-a-stick. DO I REALLY NEED TO KNOW THAT IT’S WON 17 OSCARS, 48 GOLDEN GLOBES, A FREE HAPPY MEAL AT McDONALDS OR EVEN A BLOODY TENNER ON THE LOTTERY TO DECIDE WHETHER IT’S ANY DAMN GOOD OR NOT? I DON’T NEED TO HEAR ABOUT ADELE THROWING THE FINGER AT THE SO-CALLED SUITS, BECAUSE THEY CUT SHORT HER ACCEPTANCE SPEECH - GET OVER IT LOVE AND GO COUNT YOUR WADS OF NOTES. To add insult to injury, the Best Film category at all the ceremonies went to a black and white, silent film. I have not seen “The Artist” so am in no position to comment on whether it is a deserved accreditation or not (I am informed however that it is a complete joy to watch). But it is not the style of the film that annoys me, it is the fact that the winner is a French movie and our TV channels here in the UK are continually going on about how wonderful it is. IT’S FRENCH AND WE ARE BRITS. WE HATE THE FRENCH, WE ALWAYS HAVE AND ALWAYS WILL HATE THE FRENCH, AND HERE WE ARE EXTOLLING THEM. THE WORLD (OR AT LEAST THE UK) HAS GONE TOTALLY MAD! (Tatty needs a short lie down!). In my chosen full–time profession (and I don’t mean blogging sadly), there are no awards to be won – no prizes to be had. That is except for my salary payment at the end of the month of course. There's no slapping each other on the back saying how wonderful we are, no putting on a happy face (even through a grimace), when our rival scoops the bounty. We just get on with the job in hand as best we can. So do we need award ceremonies? Oh you bet we do! Are Traditional Pub Games on the Way Back? As landlords attempt to attract customers into their inns, it is being reported that traditional pub games are making a dramatic comeback to public houses throughout the UK. Many pubs have returned to offering such pastimes as dominoes, cribbage, table skittles, darts and my own personal favourite bar billiards, in an effort to boost sales in an ailing industry. Indeed many pubs are again forming teams to take on the regulars from other local hostelries and local leagues are once more being set up. Many of these games have seen a decline in the modern era of music, Sky Sports TV and food dominated pubs, but can a return to tradition really be a saviour of our trademark local public houses? Greene King, one of the UK’s largest pub chains, has quickly jumped on the bandwagon, sending out game kits including such all-time favourites as quoits and shove-ha’penny, to their landlords up and down the country. I fondly remember my earlier years, often spending many an hour in the “Nags Head” in Knaphill, Surrey, enjoying a pint or three of brown and mild, propping up the bar billiards table in the corner. Bar billiards was a favourite game of many, only to be usurped by the oncoming popularity of pool. The popularity of its comeback could be due to the fact that it takes up less room with the table being placed against the wall, giving the publican other usage options with area saved. Surely giving the drinker something to keep his mind occupied while he drowns his pint would be conducive to higher sales, a big hit with pub-goers and go some way towards stopping the trend towards drinking at home? Now if my local pub were to install a bar billiards machine today, Mrs Tatty would most likely not see a lot of me in the evenings (and she probably wouldn’t be too upset if truth be known). Would you like a return to the old-fashioned British local, or maybe prefer your pub left the way it is? The very sad news has broken this evening of the passing of comedian Frank Carson. Best remembered for his catchphrases "it's the way I tell 'em" and "it's a cracker", Frank lost his battle with stomach cancer at the age of 85, passing away peacefully at his home in Blackpool. The Northern Irish jokester first came into the affection of the British people when winning Hughie Green's "Opportunity Knocks" talent show back in the 1960s. He later starred in "the Comedians" and "Tiswas", both for ITV. Co-star on "Tiswas", Chris Tarrent tonight speaking on BBC radio called Carson "the funniest man I ever met in my life". Deeply religious Frank who never swore, was very much the comedian in his private life as he was in the limelight. Working until a few months before his passing, he leaves a wife, daughter, 2 sons and 10 grandchildren. He died at home, surrounded by his family and will be laid to rest next week in his native Belfast. His family tonight issued the following statement: "It's quieter down here now. God help them up there!!" Thanks for the laughs Frank, the world is a sadder place without you. Do you have a favourite Frank Carson story or joke? Please feel free to make a comment. As you may have noticed, this blog has taken many a turn over the couple of years or so it has been in existence. So many turns in fact, I and everyone else probably have no idea where it is going. It has been used as a vehicle for my daily racing selections, a general entertainment blog and for me to vent my feelings about sports related (and other newsy) matters. Obviously this is not particularly helpful to you dear reader, not knowing what subject I am going to be writing about next. I am sure there are those of you who enjoy the entertainment aspects, but have no interest in sports and vice-versa. To this end and as of now “The Thoughts of Uncle Tatty” (found here at www.uncletatty.co.uk) will continue as a news and entertainment journal. The sports aspect will now be covered on a new blog, to be entitled “Blog-Sport”. This will be found at http://blog-sport.co.uk There will be no restriction as to the sports that will be covered, although it will mainly concentrate on football, horse racing, boxing and cricket (along with a smattering of rugby league here and there). So if sport is your bag (as Austin Powers probably wouldn't say), please bookmark the new webpage (http://blog-sport.co.uk) and continue to hear my thoughts on the latest news in the world of sport (I will endeavour to continue posting links that I think you may find interesting). You can be assured that it will continue to be as contentious as ever! Finally, a note to all bloggers everywhere – I am always on the lookout for and would welcome guest bloggers to contribute to my sites. Obviously you would be credited with your own work and will be able to create a link back to your own site should you desire. The only stipulation however is that I would like to be able to make reciprocal guest postings on your blog with similar backlinks etc. UK Saturday Morning Radio Has Just Got So Much Better! Saturday morning radio here in the UK has taken a turn for the better in my humble opinion, especially if you are bordering on “old codgery” like me. The recently launched Smooth70s DAB radio station (also available on the internet and more than likely on Digital TV platforms – I haven’t checked as yet) has started playing editions of Casey Kasem’s “American Top 40” radio show, which has been syndicated across the world ever since 1970 (there have been a few different hosts across the years). Now my British readers may well be asking Casey – who? (our friends across the pond will probably be amazed that us “backward limeys” are totally unaware as to his identity). A good comparison is that he could be classed as the US equivalent of the late Alan “Fluff” Freeman, who hosted the UK’s “”Pick of the Pops” for more years than I care to remember. 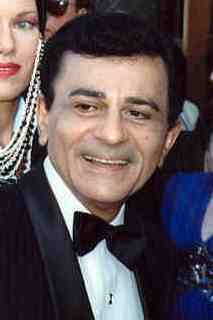 American radio personality Kasem, (also known for voicing the character of Shaggy in the Scooby-Doo cartoons), has done voice-overs on many TV commercials over the years along with putting the voices to many of the Sesame Street favourites. Casey (born Kemal Amin Kasem) is of Lebanese-Druze heritage and is still actively working in the broadcasting industry at the age of 79. In 1985, he was inducted into the National Association of Broadcasters Hall of Fame radio division and is well known for his signature sign-off: "Keep your feet on the ground and keep reaching for the stars." AT40 is aired on Smooth70s every Saturday morning between 9 and 12 and is repeated on the following day (Sunday evening) between 9 and midnight. This week edition (first broadcast in 1973), included such varied content that ranged from the sublime of Marvin Gaye’s “Trouble Man”, to the slightly dodgy “Photograph” by Ringo Starr, ending up with the truly appalling “Do You Wanna Dance?” by Bette Midler. No1 that week was Elton John’s “Crocodile Rock”. The show certainly brings back memories, good and bad! So if you were a child of the 70’s or are just interested in hearing the originals of many cover versions of later years, please give it a listen. You’ll love it! Lee Clark has today been sacked as manager of Huddersfield Town. The Terriers from Huddersfield are currently lying in 4th place in League 1, only 4 points away from automatic promotion. It is being reported that Clark was apparently relieved of his duties in a 2 minute phone call from club chairman Dean Hoyle. "This was a very difficult decision; one not taken lightly or in response to one result. Concerns have been raised over recent weeks. Lee and his coaching staff have put their all into the job over the past three seasons and he has made a huge contribution to the Club." "However with 16 matches to go we still have an opportunity to achieve promotion and we have made this change with this in mind." It can only be described as a crazy decision, delivered in an abhorrent way. What on earth is the football world coming to? It was an inevitable parting of the ways? Surely a club doesn’t end a dismal run of results by losing at home 5-1 to their biggest rivals, plunging them into the relegation mire of the Premier League and not oust their under pressure manager? 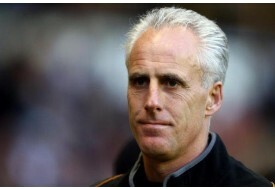 And so it was – after a tenure of 5½ years, being the 7th longest serving manager in English football, Mick McCarthy lost his job at Wolverhampton Wanderers, to be replaced by..... who? 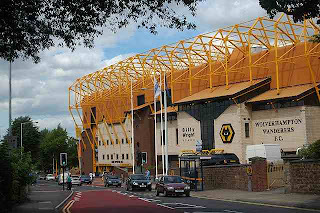 Wolves have already stated that they are looking for an experienced manager to take the helm and try to guide the club away from the lower reaches of the league to stave off relegation and to build for the future, but who are the possible candidates they will be looking at? 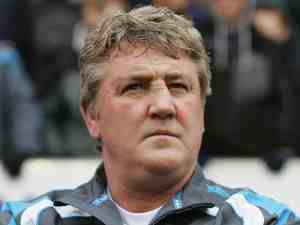 Initially installed as the favourite for the post, Bruce would bring a wealth of Premier League experience with him after previous spells in charge at Sunderland, Wigan Athletic and Birmingham City. The former Manchester United and England centre-back is currently out of work after being dismissed from Sunderland in November 2011. It would be questionable as to whether the Molineux faithful would warm to the idea of Bruce taking over. Like McCarthy, being a former manager at the Stadium of Light, would Wolves want to gain a reputation for employing Sunderland cast-offs? 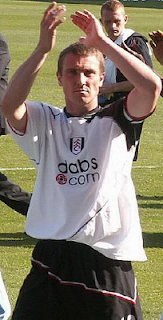 Former lower league winger Warnock left his post at Queen’s Park Rangers in January, after leading the club to promotion the previous season. He has had a distinguished managerial career at numerous clubs both at league and non-league level and at age 63 would possibly be the steadying influence the club would be looking for. 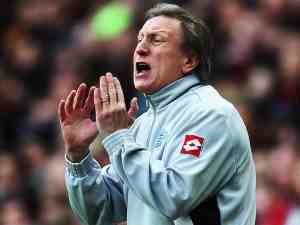 A fully qualified referee, Warnock is renowned for his controversial outbursts, ironically often aimed at the match officials - this may not suit the powers that be at the West Midlands giant. He does hold a reputation for leading clubs to promotion however, as opposed to success in the Premier League. Useful maybe if the club were to slip out of the top flight, but surely not for short-term survival hopes. The former Charlton Athletic and West Ham manager has been away from the game for over 3 years and has been linked with many high-profile managerial positions during that time. After leaving West Ham he spent time taking the club to court, winning his claim for constructive dismissal and it is thought that he is now ready to take on another top job. A Londoner through and through, Curbishley spent some of his playing career at both Aston Villa and Birmingham City, so moving to the West Midlands would not pose any re-location or geographical problems for him. He has stated that he would be very interested in the position, whilst Wolves Chairman Steve Morgan is thought to be keen on an imminent move for the 54-year-old. 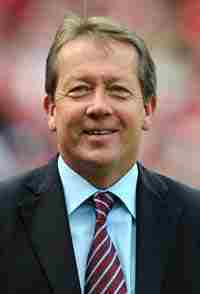 It's no surprise that Curbishley is the bookmakers new favourite to take the position. Other possible candidates for the Molineux hotseat would have to include John Barnes, Paul Ince, Rafa Benitez, Sven Goran Eriksson, Billy Davies, Ole Gunnar Solksjaer and Ian Holloway. So who will it be? The club wishes to make a quick appointment before their next Premier League fixture on 25th February away at Newcastle. Are you a Wolves fan? Do you have a preference for any particular candidate? Were the club right to dispense with McCarthy’s services? 5 Female Vocalists - Gone Before Their Time ?